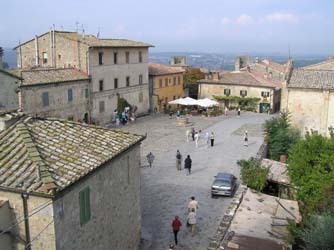 Walk Italy tours is a family business. The idea for the walks sprang from their desire to get off the beaten track and rediscover the Italy of their youth. Their philosophy is a simple one: organise an enjoyable, hassle free holiday that provides an authentic and memorable experience of this amazing country. We have travelled extensively, with Darcy also having a five year background in adventure travel in the late 70's and early 80's. 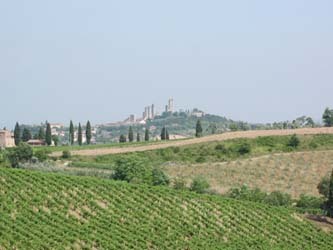 The prospect of treading an ancient path through the Italian countryside with its rolling hills, landscape of blue sky, golden ochres and lush greens was the lure needed to establish the company. 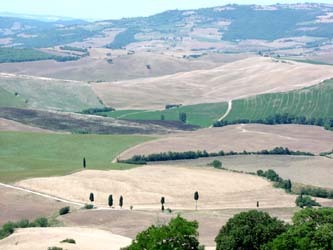 We schedule our walks in the months that best allow you to appreciate Tuscany's charms. The walks are ideal for individual travellers, friends travelling together and for couples who are open to new experiences and have an interest in people. The itineraries set a relaxed pace and provide a mix of experiences that build in the space and time that permits you to follow your individual interests and to ensure you really get to know and understand the places visited. We travel in small groups, from five to a maximum of ten travellers. This allows us to move discretely without unnaturally changing the ambience of the places visited and to maximise the opportunity for getting to know your travelling companions. Contact us for more information about our walks directly or through our travel agents.